Do you have a suggestion for stands, companies, demo’s, conferences, presentations, and parties during IBC 2013 in Amsterdam. Send me a Tweet @endoftelevision, email me at geert@theendoftelevision.com or leave a comment on this post and I add it to this overview! The End of Television will be at IBC 2013 in Amsterdam again. The IBC exhibition and conference is the annual event for professionals engaged in the creation, management and delivery of entertainment and news content worldwide. With over 50,000 attendees from more than 160 countries it’s one of the largest broadcasting exhibitions. The conference sessions cover panels from all over the industry discussing the effects of new trends and technologies in the business. As IBC describes on the website “IBC is the event not to be missed for everyone involved in the world of content creation, management and delivery”. All major technology and service providers are present on IBC so follow The End of Television the coming days on Twitter and Google+ for the latest updates, pictures, and blogs from IBC 2013. I created a list of stand and companies you should visit while at IBC 2013. Send me your suggestions if you think you should be on the list! Below an overview of the stands and exhibitions at IBC 2013. The exhibition area consists of 14 halls so be sure to plan your visit and bring a map or use the interactive floor plan. Cisco will showcase its Videoscape Unity platform that provides an open environment for a multiscreen experience including content contribution and distribution suites as well as Multiscreen cDVR, HEVC/4K, RDK and HTML5 solutions. Find out more about Cisco at IBC 2013 and follow @CiscoSPvideo for the latest updates. At IBC, Ericsson will show how the company is driving a unique multi-screen TV experiences, on any device over any multi-platform architecture. Find out more about Ericsson at IBC 2013 and follow @Ericsson for the latest updates. Sony always presents some impressive screen and recording technology at IBC 2013. This year Sony will show how the company is “redefining the way your audience sees the world”. With 4K camera’s, IP production solutions, and content management and data workflow solutions. Find out more about Sony at IBC 2013 and follow @SonyProEurope for the latest updates. Canon will showcase the largest-ever product line-up at IBC 2013. This year with a greater focus on how 4K production can be brought to life, including a live 4K production workflow using Canon’s latest products. Find out more about Canon at IBC 2013. Civolution is a provider of technology and solutions for identifying, managing and monetizing content. At IBC 2013 they will showcase an advanced line-up of digital watermarking and fingerprinting technology solutions to IBC 2013 and different demo’s of the use of their technology. Find out more about Civolution at IBC 2013 and follow @Civolution for the latest updates. Piksel is a new name at IBC 2013 but they have been been helping companies maximize reach and return with video for the better part of two decades. Piksel supports companies to scope and build your core video infrastructure, integrate it with your business, design a compelling user experience, and then manage and maintain the entire system. Find out more about Piksel and follow @Piksel for the latest updates. Gracenote helps music fans identify, discover and connect with more of the music they love and is transforming the TV experience on the main screen and second screen devices. At IBC, Gracenote will demonstrate its Automatic Content Recognition (ACR) solutions for Targeted Advertising and Second Screen companion Apps. In addition, Gracenote will also be showcasing its latest EPG and IPG integrations with leading TV makers. Find out more about Gracenote at IBC 2013 and follow @Gracenotetweets for the latest updates. Tweek is a great startup from Berlin and its first product, a personalized TV Guide, is the place where you can discover live TV, movies and web originals based on recommendations by friends and get direct access to start watching what you like immediately. Or as they see it “Tweek is you first access to TV!”. I met Marcel Duee, one of the founders, last year at dmexco website in Cologne and it’s great to be able to meet them at IBC 2013 in Amsterdam. Find out more about Tweek on their website and follow @tweek_tv. 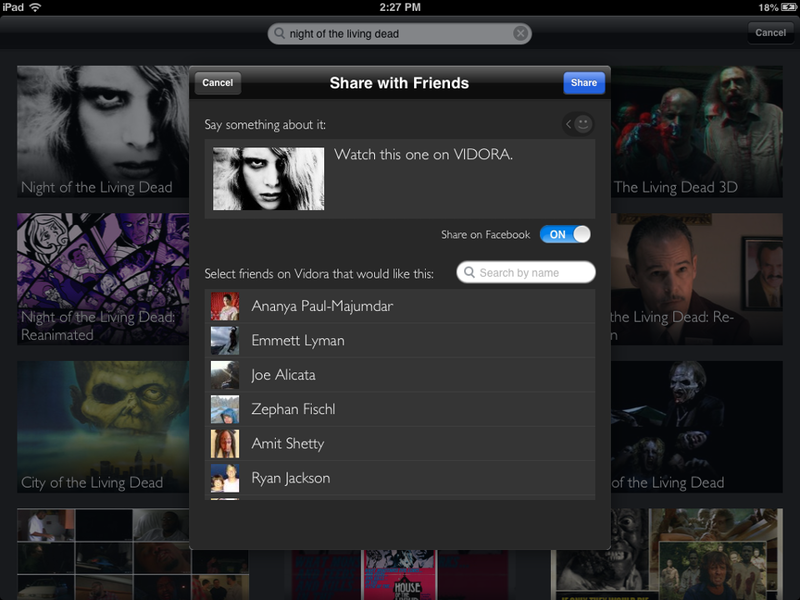 Aframe Future of video storage and sharing. They provide video asset management, in the cloud; for speed, efficiency and better productions. Everywhere. I met CEO and co-founder David Peto last year at the IBC exhibition (they had a great themed stand) and was inspired by his vision on the future of video asset management and production. Be sure to visit them for a future outlook on video asset management. Find out more about Aframe at IBC 2013 and follow @AframeHQ for the latest updates. The IBC conference consists of 14 halls. So if you have limited time to visit IBC you better visit the future at the IBC future zone. At IBC 2013 the Future Zone will provide a tantalising glimpse into the future of tomorrow’s electronic media. The collection of mind-bending concepts and prototypes on display exist only in the world’s leading broadcast R&D labs, or as academic papers, until they are demonstrated at IBC. Find out more about the IBC 2013 Future Zone. The Conncected World hall is a special area of IBC which brings together the very latest developments in online and mobile TV, 3G, 4G and OTT services, pioneering “second screen” applications and IP technologies that are impacting the creation, management and delivery of content in our increasingly connected world. Find out more about the IBC 2013 Connected World. The IBC 2013 conference sessions are only available for registered visitors with a conference pass. If you have access, be sure to visit the following session! 13:30 – 15:00 – Big Data – Broadcasting’s New Oil or Digital Exhaust? 15:30 – 16:30 – Show Me the Money: Where is the Value in Second Screen Content? 15:30 – 17:00 – A Cloudy Future for the Set-Top Box? 12:30 – 14:00 – Are Telcos the Transformers of the Future of TV? Many companies and organisations organize events outside of the IBC 2013 exhibition. Find a list of the most interesting event below. Please note that some are invite only or require registration. The global discussion about 2nd screen engagement and monetisation continues on Saturday the 15th of September when The 2nd Screen Summit returns to Amsterdam. Building on the success of the 2nd Screen Summits (S3) in the U.S. at both CES and NAB this year, S3 Amsterdam will once again draw the thought leaders who are creating the new companion apps and digital distribution models that will ultimately drive the worldwide success of digital entertainment. Learn the latest stats and hear the case studies from innovators, broadcasters, content creators and advertisers who will demonstrate how 2nd screen user experiences can empower additional retail/engagement/revenue opportunities. Find out more about the Second Screen Conference programme and follow @2ndScreenSummit for the latest updates. Civolution and ExMachina present a chat with Anthony Rose, CTO and Co-Founder of Zeebox. Mr Rose will unveil the latest news from Zeebox and answers questions from top journalist Kate Bulkley. A unique insight into the making of ‘App the Movie’, the world’s first movie with synchronized 2nd screen in the cinema, presented by the movie director, Bobby Boermans. Monterosa explains how they used Civolution’s SyncNow to drive the “Horse Tracker” app for UK broadcaster Channel 4 Racing. Building a scalable real-time editorial content notification service to deliver 2nd screen interactivity for leading French broadcaster M6 pre-recorded and live programming by Atos. Find out more about the Civolution Sessions at IBC 2013 and follow @Civolution for the latest updates. As with every conference there are a lot of (after, launch, partner, product etc.) parties. Some are free other are invite only or require registration. Broadcastprojects.com created a great list of IBC 2013 Party & Event. If you have time left, check the iAmsterdam website for tourist information and things to do. And don’t forget the great overview of what to see at IBC 2013 by CSImagazine.com.